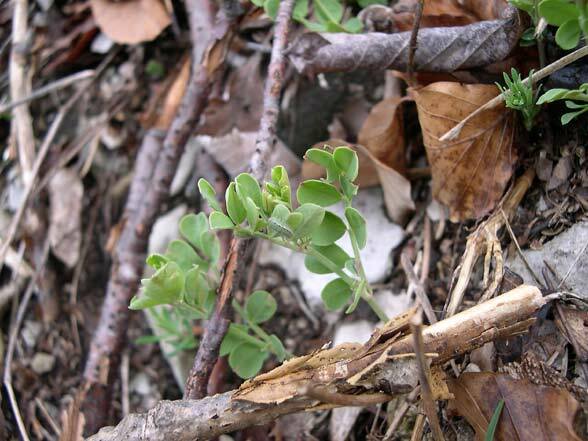 North of the Alps the species develops on Coronilla coronata, in the Northern Alps on Coronilla vaginalis and in Southwestern Europe on other Coronilla species such as Coronilla minima in Provence and Southwestern Alps or Coronilla juncea in Spanish coastal areas. 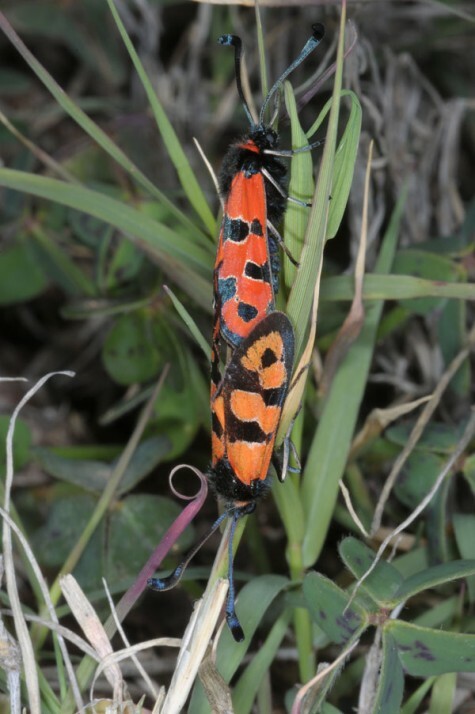 Zygaena fausta colonizes dry, warm, sunny forest edges (e.g. 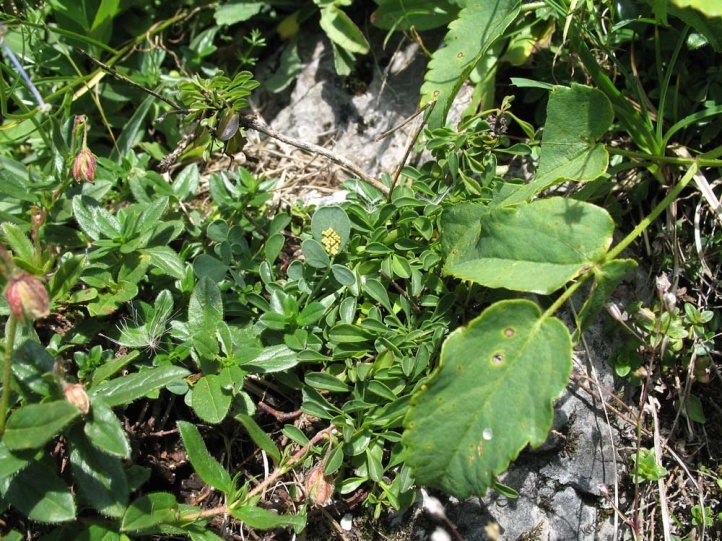 in the French Provence), partly rocky, bushy grasslands in limestone areas. 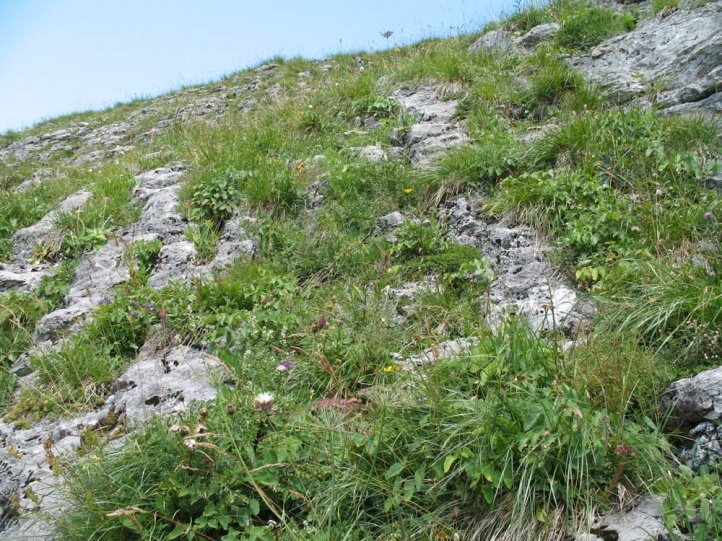 In the Alps (from Northern Tyrol and Vorarlberg on southwestward) it lives on warm places in the vicinity of Erica herbacea-rich pine forests and especially in rocky places on slopes up to 2000m above sea level. 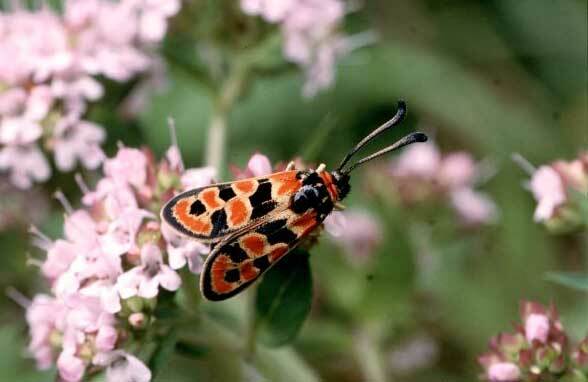 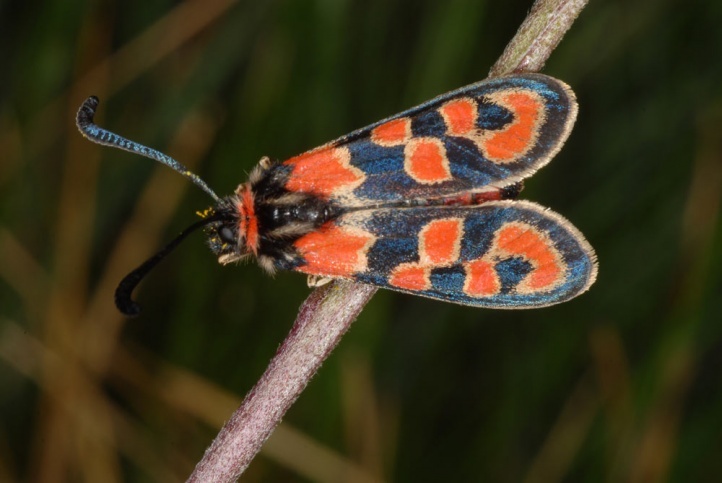 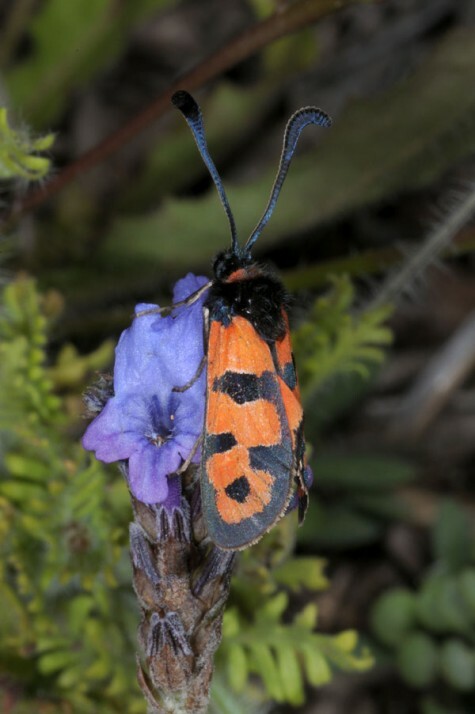 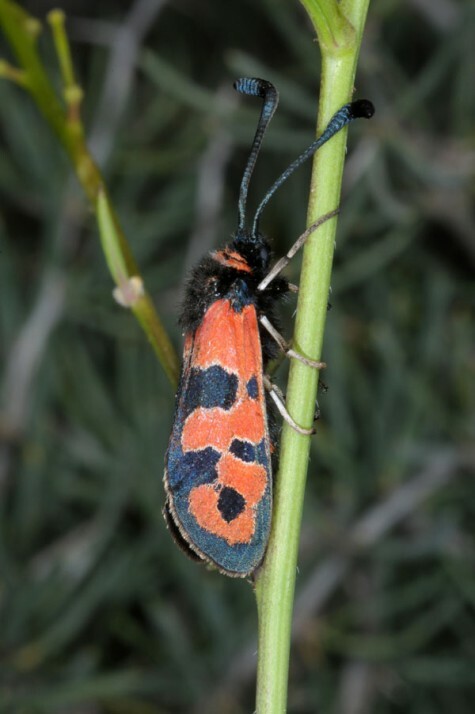 In the Iberian Peninsula and S-France Zygaena fausta is also found in coastal areas like dunes. 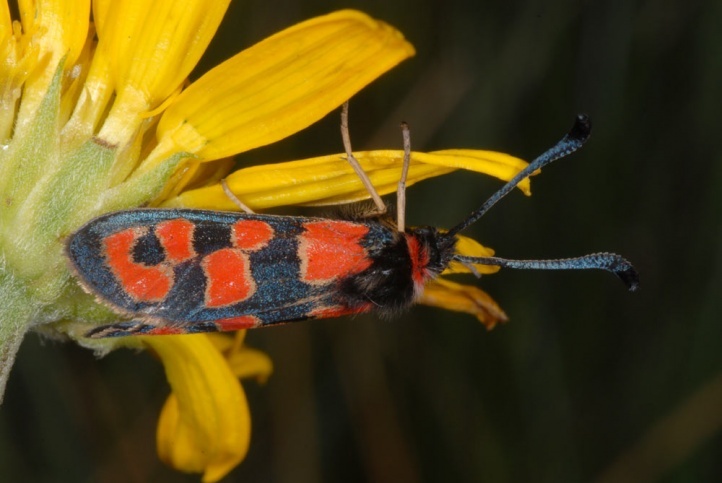 Generally the life cycle is very variable according to geographic region. 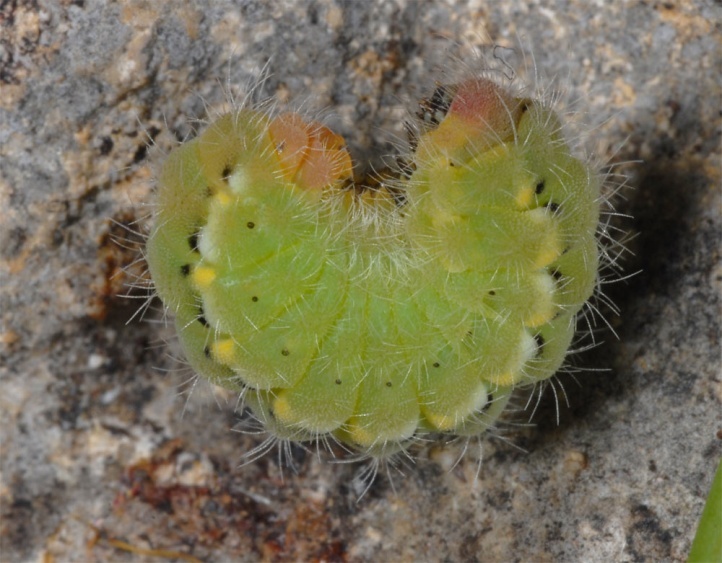 In more northerly regions, hibernation usually takes place as a young caterpillar. 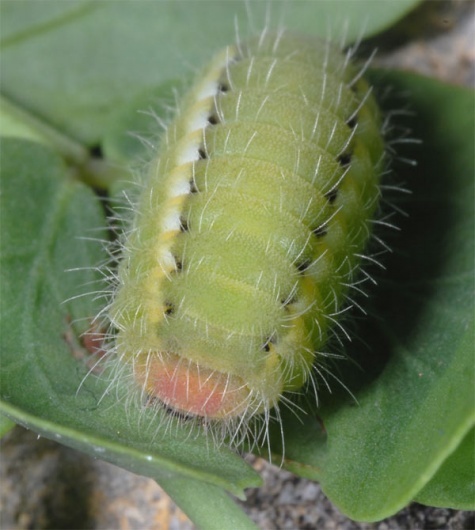 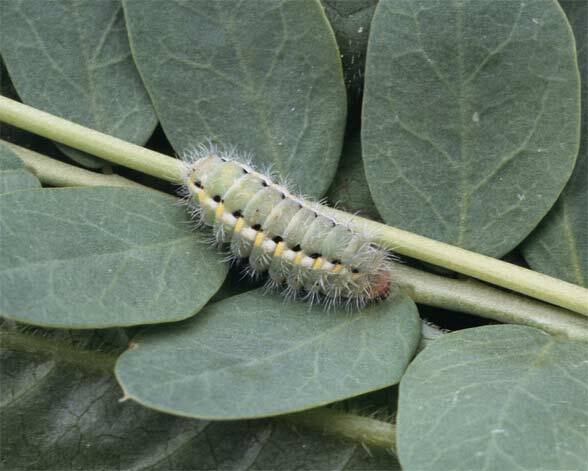 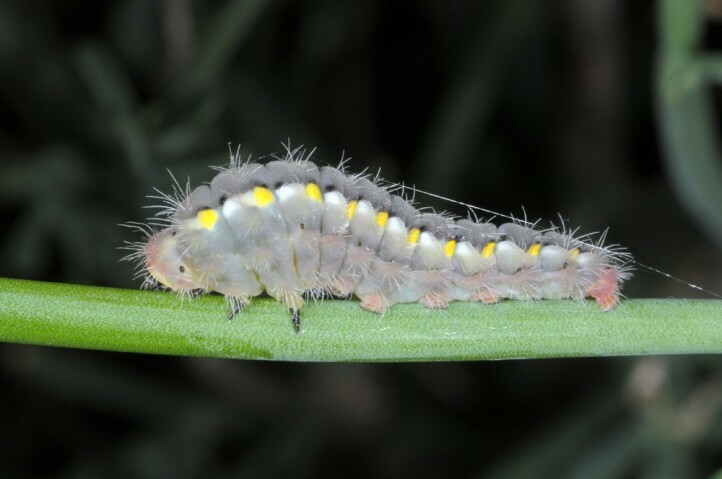 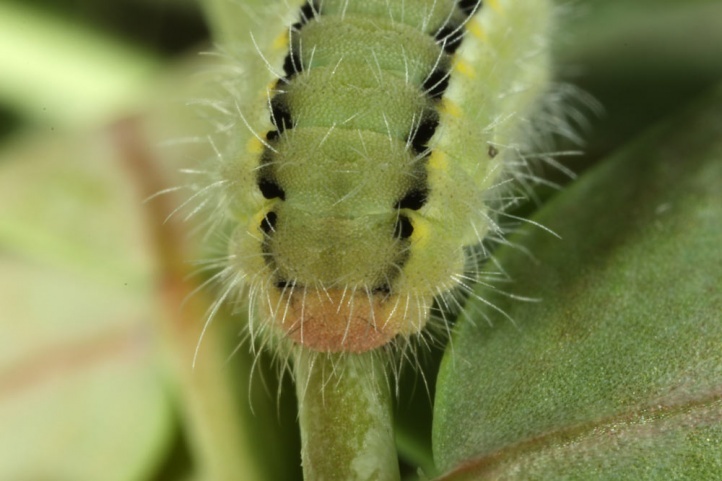 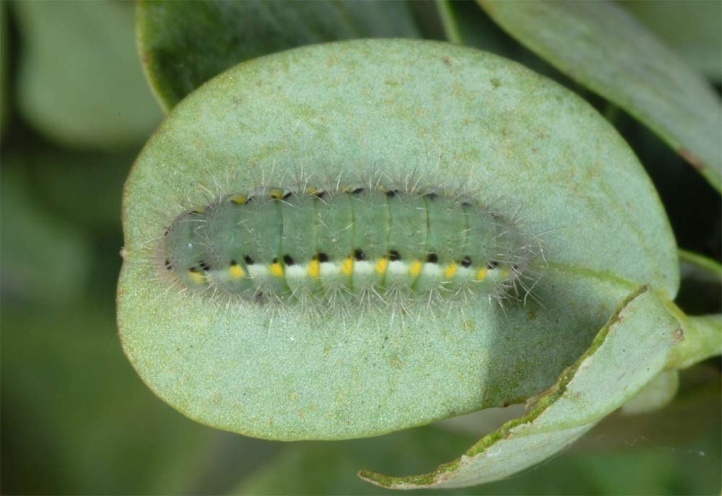 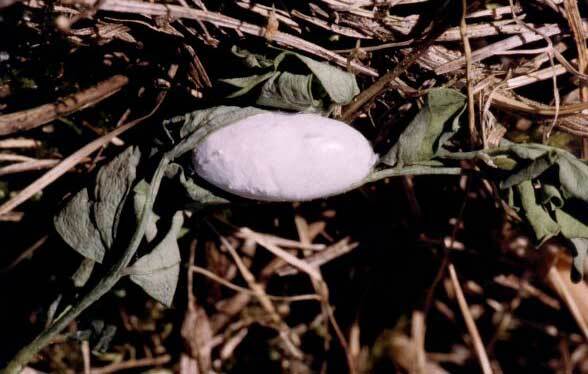 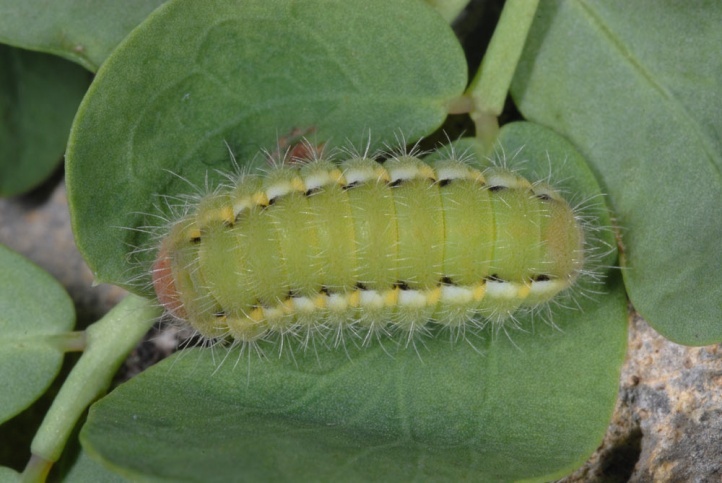 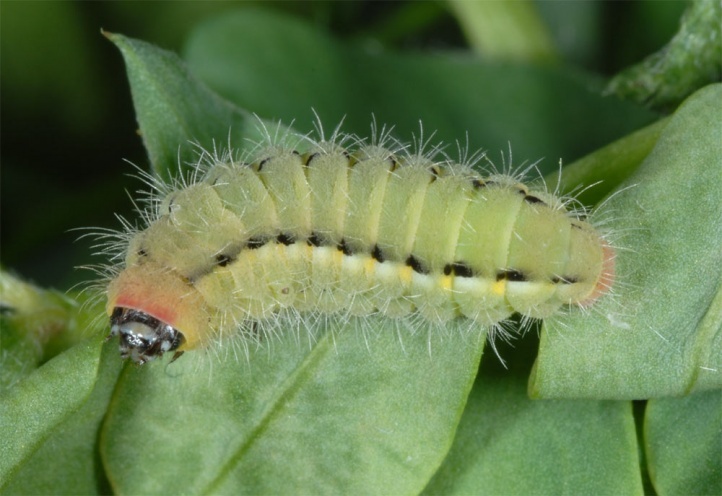 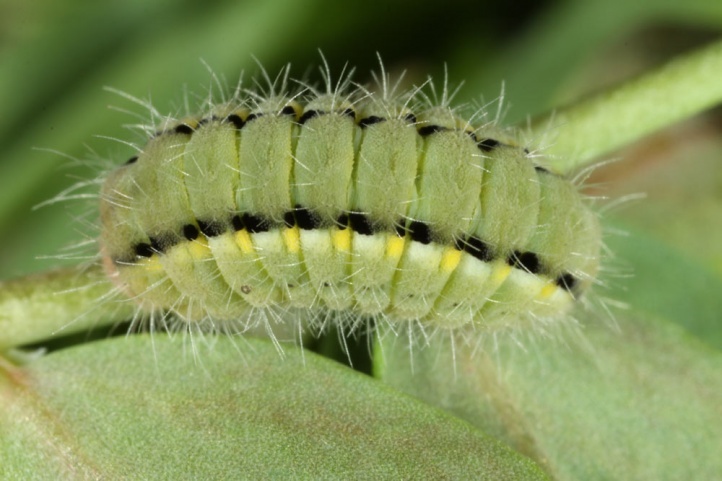 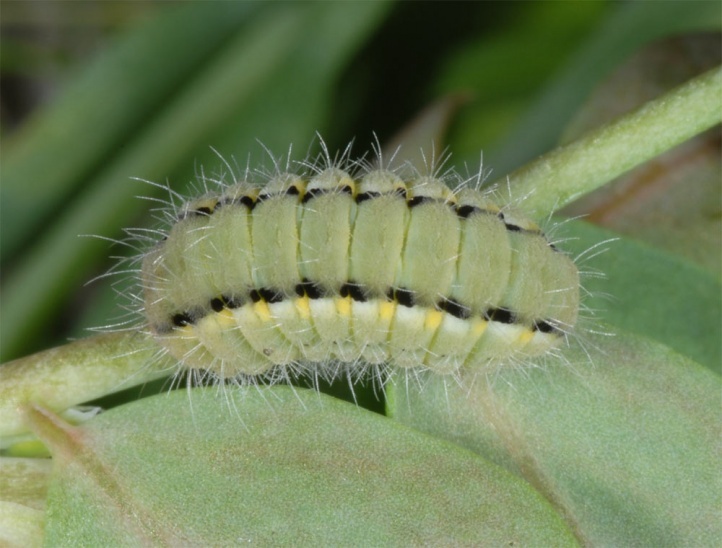 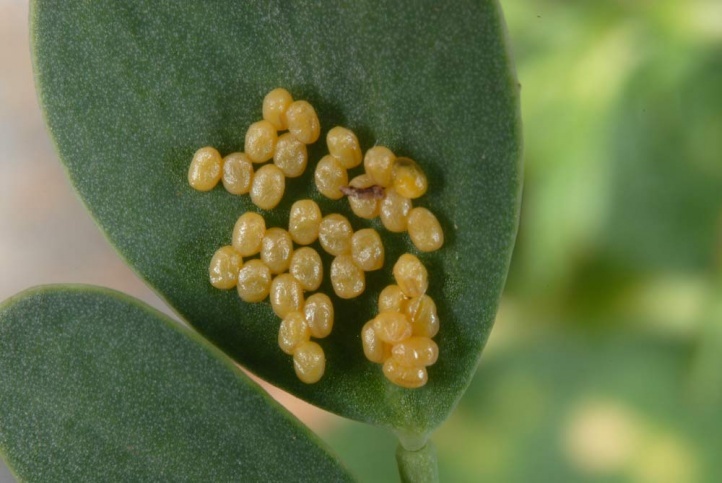 The larvae are fully-grown in May or June, which is relatively early. 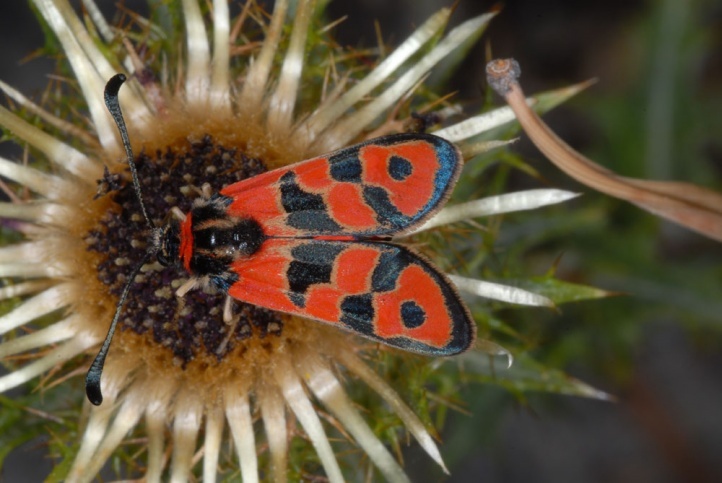 The flight time is north of the Alps in July-August. 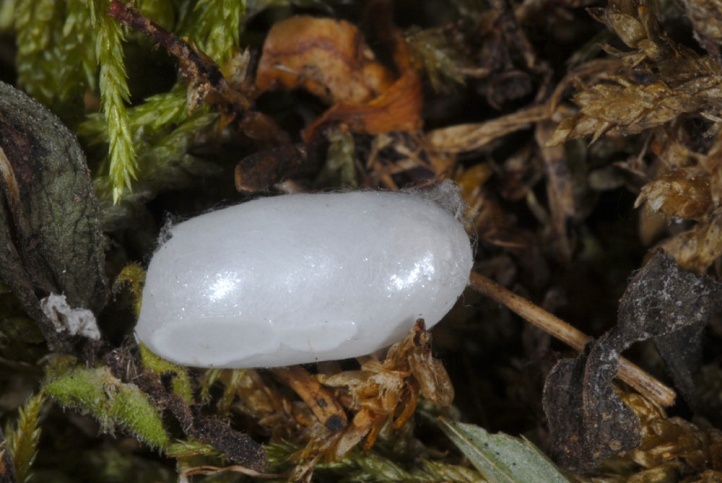 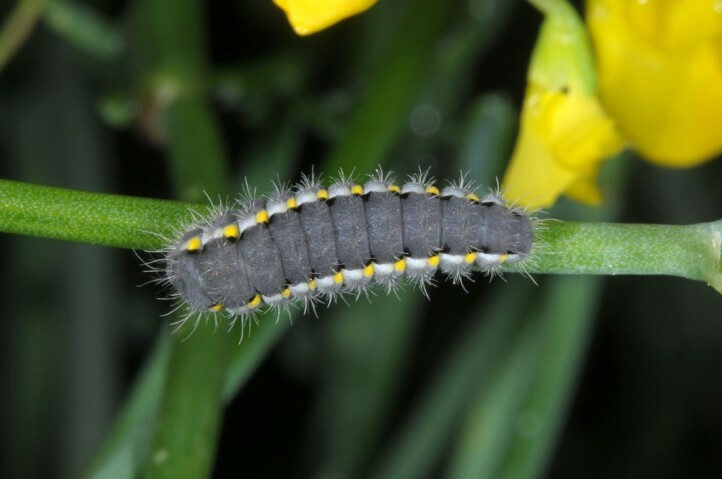 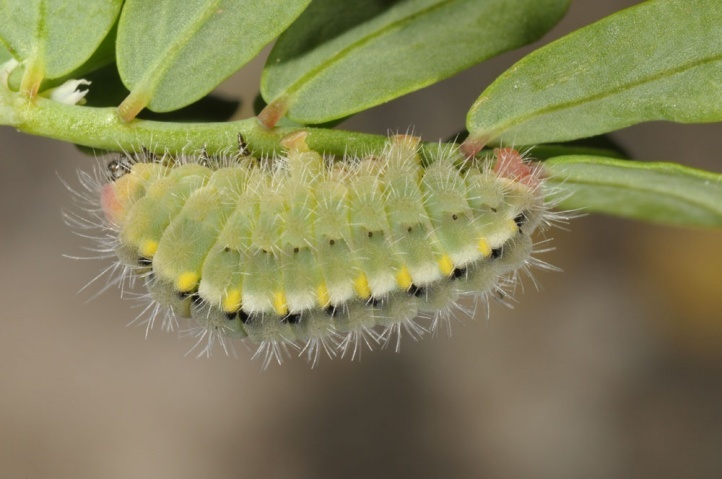 In the Southwestern Alps and Provence I observed at lower altitudes that larvae that have been collected fully-grown in May/early June entered a diapause until the first cooler periods in mid-August or September and then pupated without further feeding. 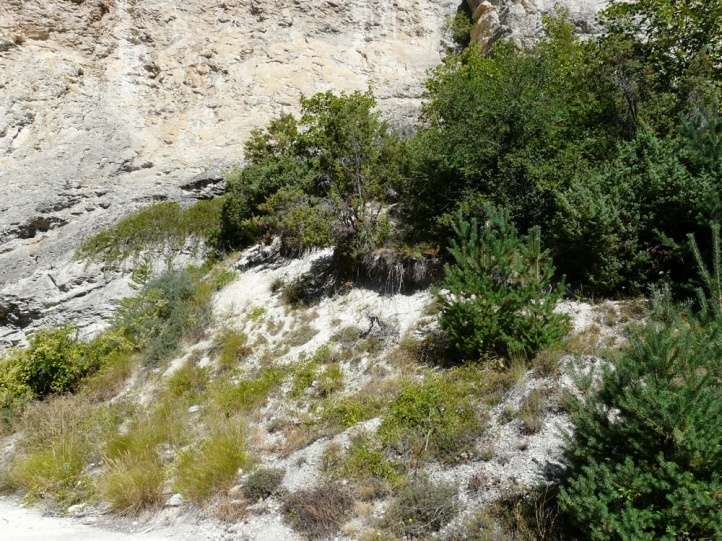 The emergence took place three weeks later. 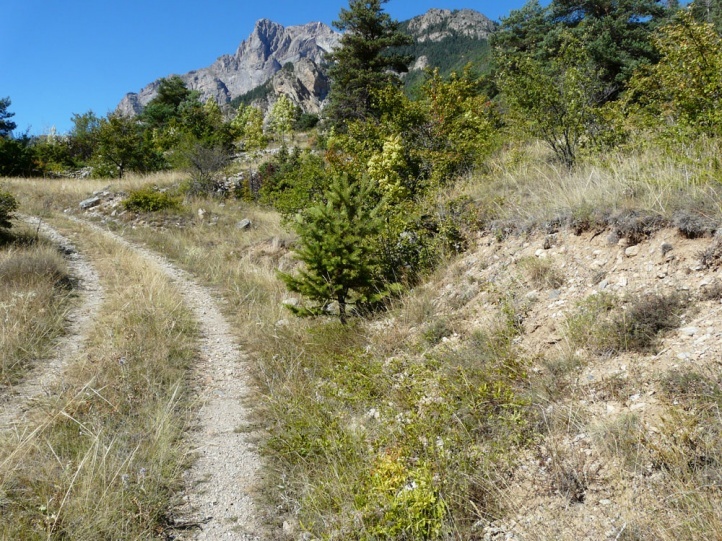 This aestivation scheme seems to apply there in general (fresh adults in Provence in September or even October), while at higher altitudes (1700m asl), e.g. 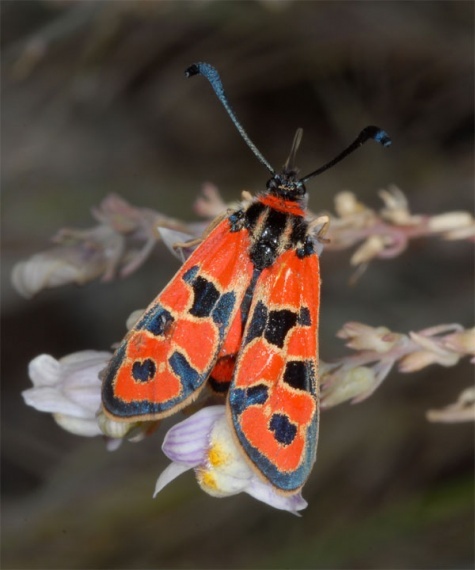 on Mont Ventoux, the adults fly between mid-July to mid-August. 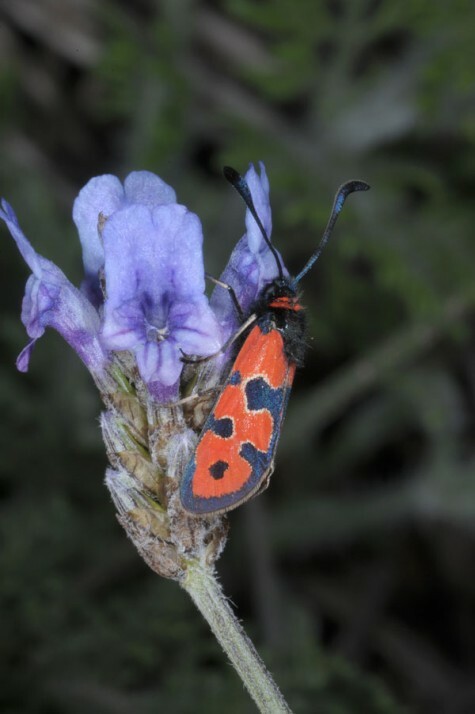 In mid-September 2012, I met many fresh moths in the Hautes-Alpes in the Durance Valley in about 1000 to 1200m above sea level in very xerothermic habitats. 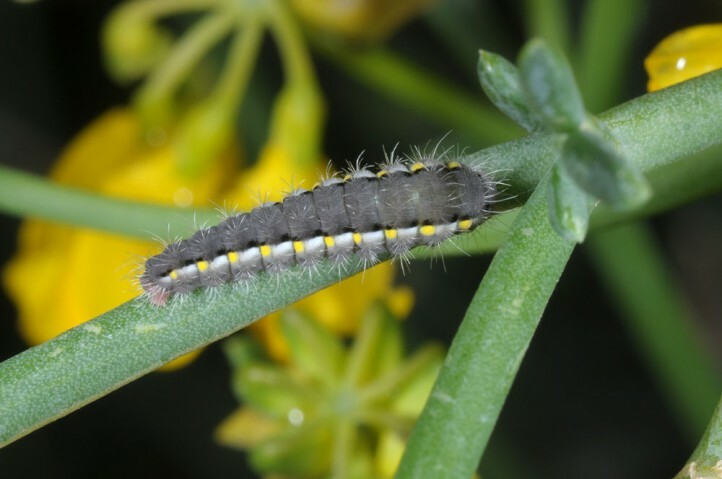 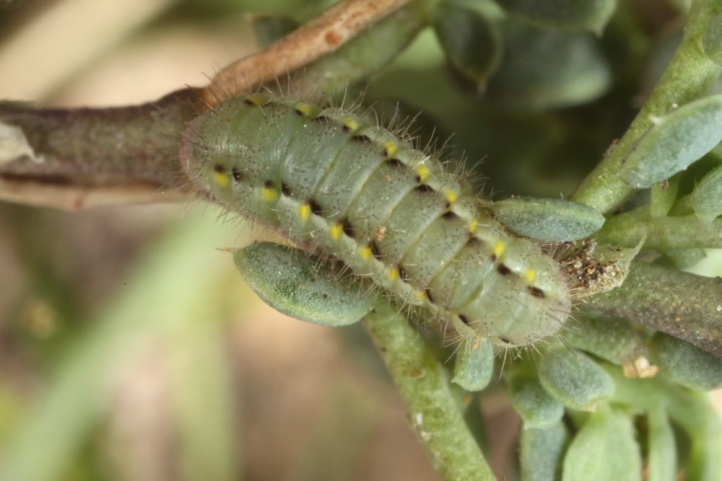 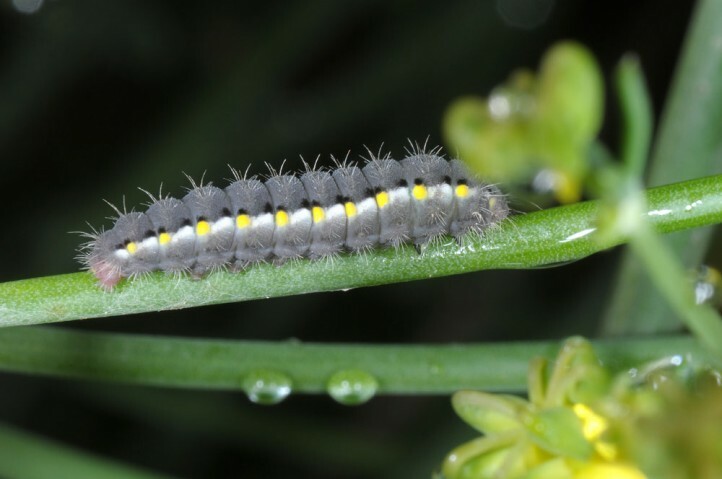 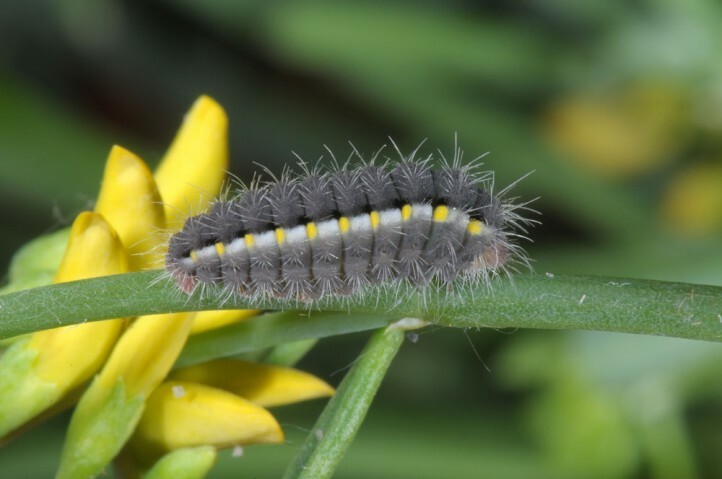 In Spanish Andalusia (Cabo de Gata), I recorded many adult moths and young to fully-grown larvae in coastal dunes with Coronilla juncea in late March 2015. 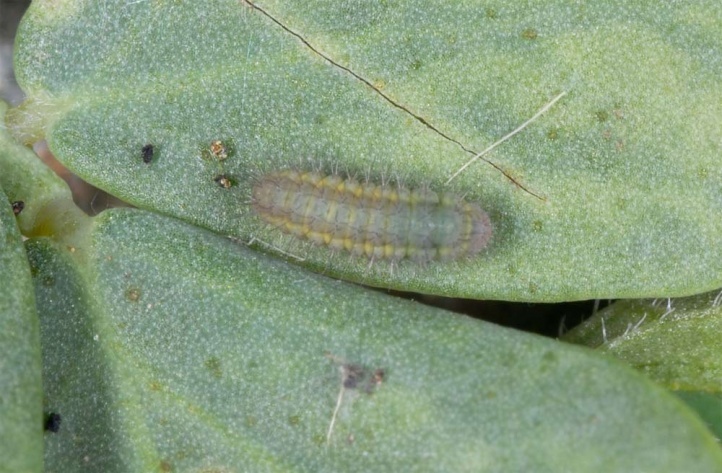 The larvae supposedly aestivate in dormancy partially from young to half-grown instars and partly mature. 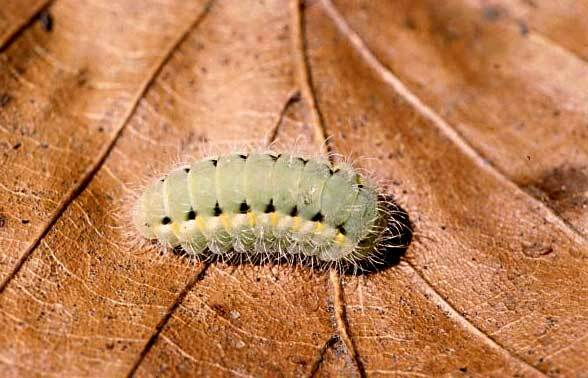 The latter larvae result in moths especially in early spring, but possibly also in autumn. 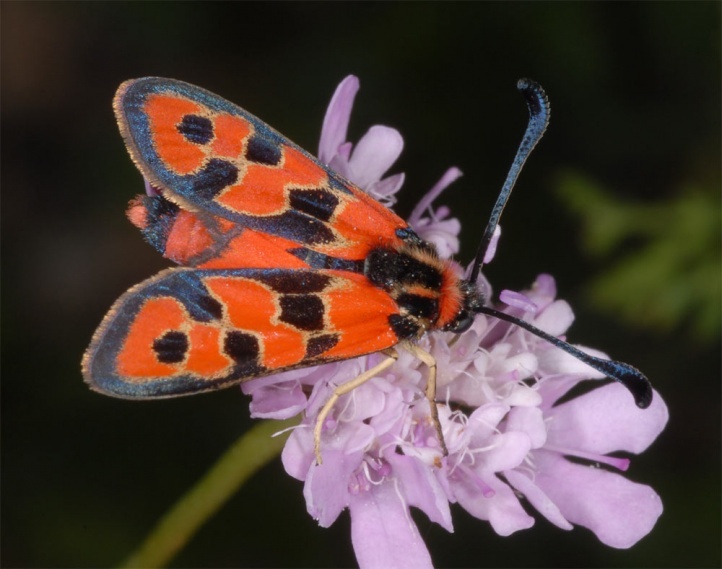 North of the Alps Zygaena fausta is highly vulnerable because of overgrowth of its habitats with trees and subsequent dark shadow. 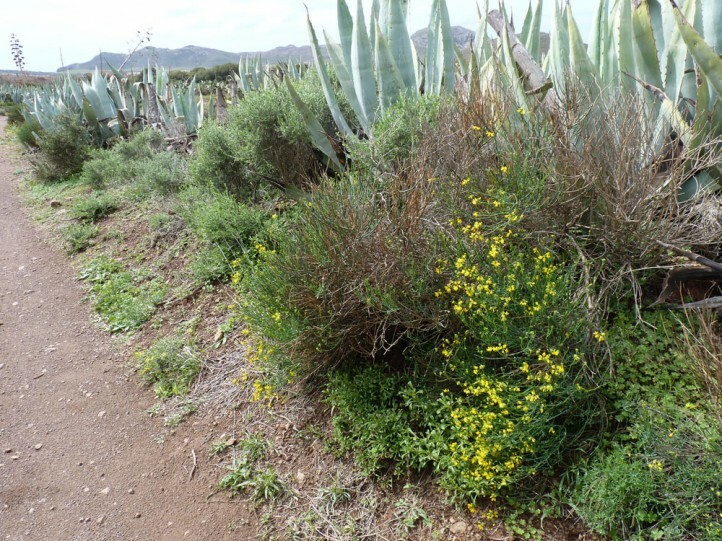 What is needed is a regular, but careful and not too radical bush and tree removal. 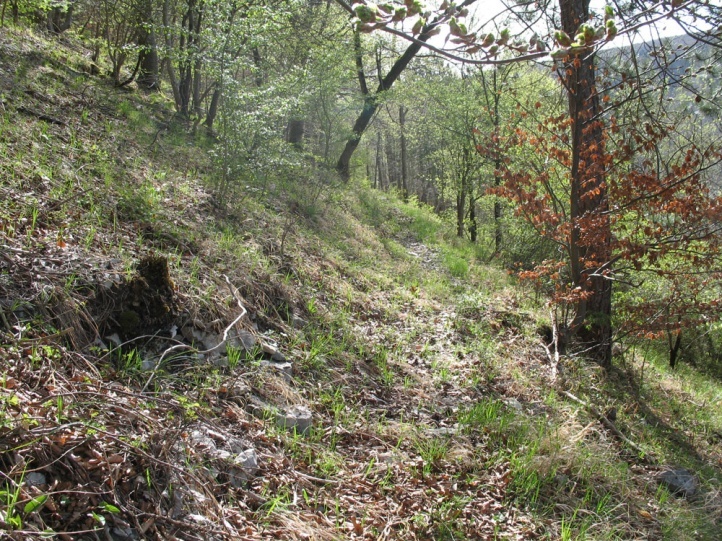 Sheep grazing or mowing can also cause damage to the small-scale sites. 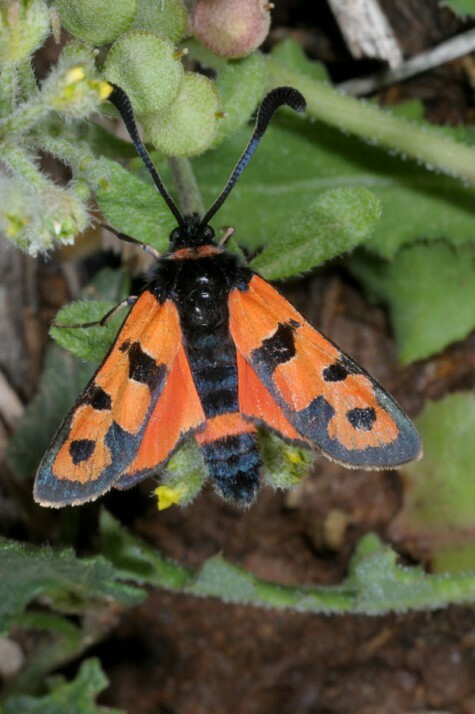 In the Southwest, for example, in Provence and the Southwestern Alps, Zygaena fausta is among the more widespread Zygaena species and is still not endangered. 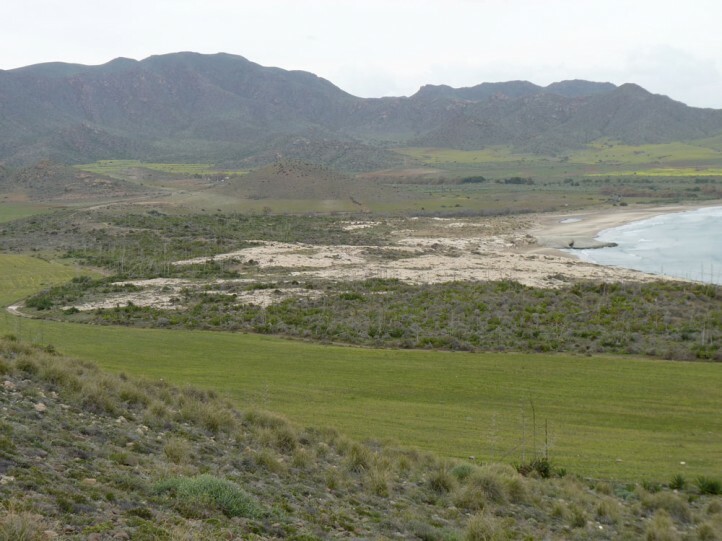 The coastal populations of the Iberian peninsula have already melted away to small remnants due to almost complete destroyment of its habitats due to overbuilding and tourism. 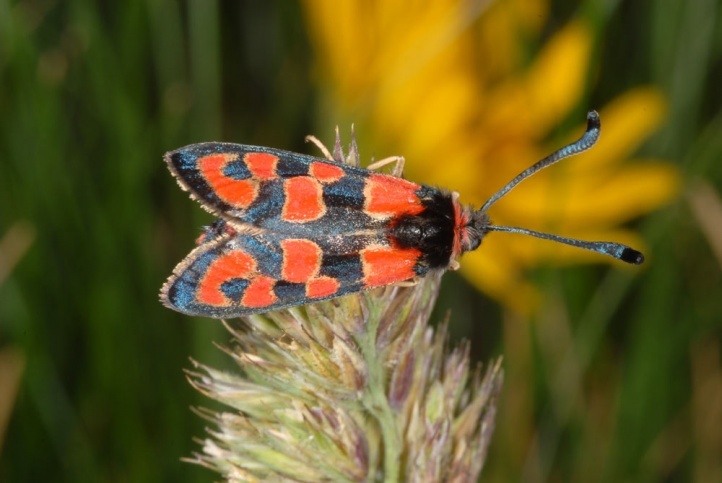 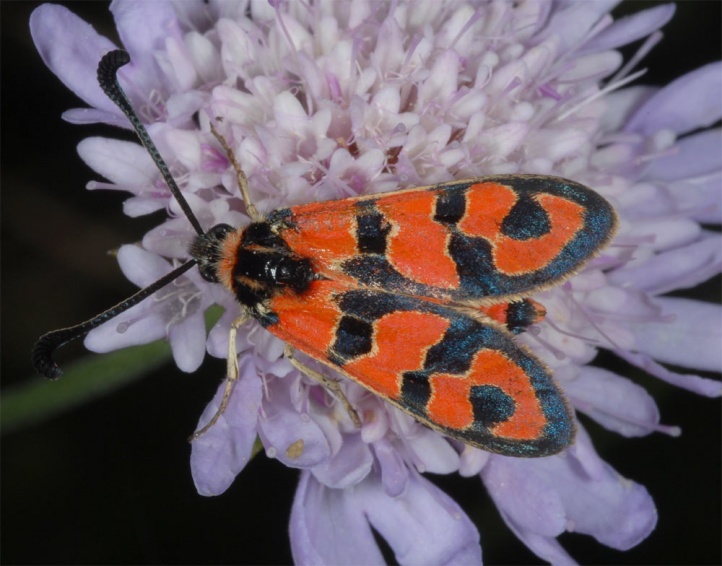 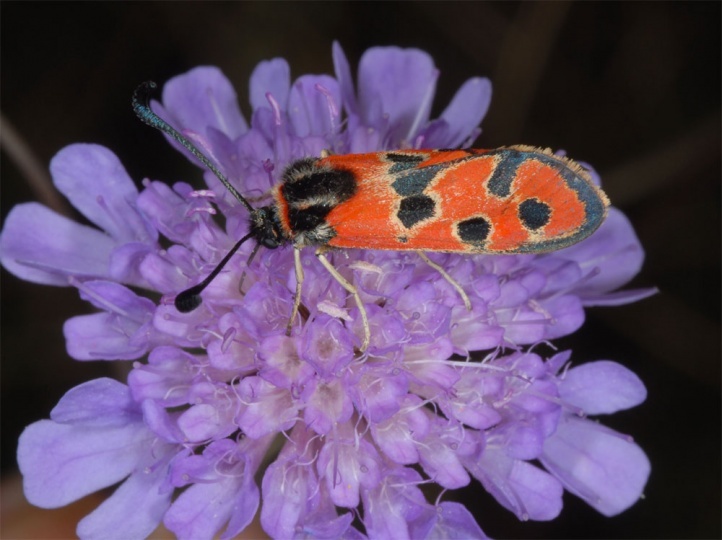 Zygaena fausta is distributed in the southwest of Europe: from Spain and Southern Portugal to Western Austria and Southern Germany (northeastwards to Thuringia, in the southeast to Northwestern Italy).